Contel is the official provider of JVL – Integrated servo motors and integrated stepper motors to the industry and provides services of designing, planning and installing motion applications at the customer location. With a team of professional engineers who are responsible for application design, mechanical design and engineering, Contel is providing high quality solutions for motion application with JVL products. JVL is a leading company in motion control with more than 20 years of experience in the production and development of integrated AC servo- and stepper motors. The servo motor, the MAC motor, is based on a unique module concept that makes the ac servos easily adaptable to a very wide range of applications. 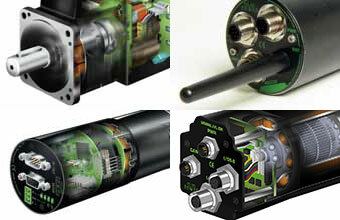 The stepper motor concept, QuickStep, similarly offers a very wide range of versions for any application. JVL furthermore has developed and produces a wide range of versatile, high-quality AC, DC, and Step-Motor Controllers and Drivers which are used in all kinds of applications in research and industry. To supplement these developments, JVL offers a wide range of supplementary products from some of the world’s leading companies. In this way JVL can offer complete systems, including multi-axis controllers, motors, gears etc. If required, JVL can also offer customized equipment to suit specialized needs. JVL is represented all over the world by experienced representatives.